Thanks for weighing in on your thoughts about Cyndi’s lovely home in the beach community of Saint Simons Island, GA.
And, I’m back, coincidentally (or maybe not, since it’s summer) from my beach vacation in Cape Cod, MA. Provincetown, to be precise. Or, as the locals affectionately call it, Ptown. Does beach house decor need to look coastal? Or rather, does a beach house for SALE need to look coastal? Provincetown, if you don’t already know is a historical village on the tip of Cape Cod. In addition to a historic beach community, today, Ptown is a popular vacation spot for those in the LGBT community. However, there are plenty of “straight” (whatever that means-lol) people and couples with children. And, let me stop right here for a sec before someone decides to send me a message I don’t wish to receive. I realize that there are people here of all different beliefs and some who believe that their way IS the only way. And, that’s absolutely fine. You may think and believe whatever you like. But, please keep it to yourself. Thank you. I love all people who are kind, decent human beings. What they do with their private life is their business. The best way for me to describe P-Town is like the East Village of NYC by the sea. Very colorful. :] And it was quite a steamy two days too! Oh, if you’ve never been to the east village in NYC, please add it to your bucket list and go to 6th St. (between 2nd and 1st Ave) for some terrific (and cheap) Indian food. You won’t be sorry. I went on my Cape Cod vacation with my 28-yr-old son, Cale who lives in Boston. He went to Beantown exactly 10 years ago to study music at New England Conservatory and stayed after graduating. Now, at 28, he has evolved into the most delightful young man. Very proud of him. And if you ever get to hear him play his trombone, you won’t be sorry about that either. I wish I could say that I took a zillion pictures. I still haven’t programmed myself to do so. However, I did take a few which I will share with you. Cale and I had been talking about taking a trip, but he was the fuel that made it happen. And so, only two weeks ago, I got on one of those internet sites and quickly found a place that looked terrific. The White Porch Inn. They had one room left with only one bed. No problem. We’ll work it out. I booked it. Cale had already been traveling and arrived at my place last Sunday. We drove to Boston the next day, spent the night and then left the next morning. On the way, we stopped at my dear friend, mentor and web guru Eileen Lonergan. And yeah… true to form, forgot to take pics of her brand new splendid kitchen. You can see her lovely New England home in this post from four years ago! After an easy trip up the cape, we arrived at our destination in Provincetown, MA – The White Porch Inn– Ahhhh… that’ll do. This is from the White Porch Inn website. A better view of the porch, also from their website. Every evening, the guests are invited to convene here to enjoy a glass (or two) of wine. Tom, the owner was waiting for us with a big, warm smile and we climbed up to our room– the penthouse. He couldn’t have been more gracious and explained everything to us including the history of the inn. That included the fact that Cher had stayed in this room a couple of years ago! YES Cher! And YES! I slept in Cher’s bed! haha And no. I don’t have a pic of it. But, the photo below, from their website, shows the area beyond the bed. Handsome room with a great shower! Well, I’m sure that I didn’t book this room, but it was ours because they had a cancellation. And so, the penthouse we got, along with a roof terrace! And there was plenty of room for Cale’s air mattress. He was a good sport about that. The next images are mine from our rooftop terrace! view of the historic Provincetown library and harbor beyond. Yes, yes… I know. Calm down. He has a lovely girlfriend. Our terrace is nearly as big as my bedroom! No, I wasn’t lucky. I cheated. (a little) haha. This is a still from a short video that I took. It did take a few tries however, to actually get the shot of the bolt. These photos were taken near the end of our trip on Thursday morning. Back to the beginning, Cale just had to go for a swim in the ocean. The ocean, however is only about 500 feet away, so no problem there. I just dipped my feet in. The water was delicious! Then, we hadn’t really eaten much so we went for an early dinner at Pepe’s which is very near the White Porch Inn and on the water. Actually, you can see the entrance to the restaurant in the lightening bolt pic. It wasn’t cold, but it was quite breezy. I have to take pics of Cale when he’s not looking. Just trust me on that one! After dinner, we went for a long walk and saw the less “colorful” part of town that is in actuality, an elegant, New England-style coastal community. If you don’t already know. Hydrangeas are my favorite flower. And there are tons of them in Ptown! Alas, some of the most beautiful gardens, we saw at night. Blue hydrangeas at dusk in Ptown. After walking and window-shopping, we went for a yummy dessert at The Purple Feather on Commercial St. I highly recommend that. The following evening, nobody was standing in my way and I quickly snapped this lovely pic in front of Shor Home. Please also follow Shor_home on instagram. That evening, we saw this character, Dina Martina, do a fabulously entertaining one-woman show. I realize that this type of humor isn’t for everyone, but if you love seriously weirdly funny + irreverent about everything, you’ll love her! Here’s a clip of Dina on youtube. We also did a lot of eating and shopping. The food in Ptown is terrific! On Thursday, we packed up our things and said goodbye to the White Porch Inn. Love this cosy eating area in the pretty blue and white kitchen where we ate breakfast. The kitchen was in a state of getting tidied up at that time. Arrgh. I had a chance earlier but as I said, wasn’t thinking enough about photos. Memo to Laurel. TAKE PHOTOS! There is a rotating display of original artwork for sale as well. Another thing I noticed, is that there appears to be a town ordinance against having window treatments of any kind. I noticed this in many houses. I do love getting to see what’s behind the glass; from a distance. From a distance!!! Before we left, we drove around Ptown a bit and saw Herring Cove Beach on the far tip of Cape Cod. We were hoping for some bigger waves, but as you can see, that did not happen. Still, it’s very pretty. We stopped in the town of Wellfleet on Cape Cod where I snapped this classic house and garden. Okay, time to get back to beach house decor. Your comments inspired me to take a closer look at that. In my mind, the perfect beach house– ever is the incredible film set from the movie, Something’s Gotta Give. I created this image from the video that I rented on youtube. My friend and interior design colleague, Linda Merrill did an amazing compilation about this amazing beach house decor which links to all of the other awesome posts on the same topic. However, this is a film and the set is the vision of a brilliant designer. But, a lot of people have copied this beautiful beach house decor since the movie came out 15 years ago. And since I was just in a coastal beach area, I decided to have a look-see at the homes for sale in Provincetown for over a million dollars. So, please check them out for more images. The specific properties are also linked underneath their exterior image. Below, the most expensive home currently for sale in Ptown. Commercial St. is the main drag, but this home is away from the more intense section of shops, art galleries, restaurants and theaters. It’s an antique home with low ceilings in most areas. For nearly 6.5 million, I’m a little underwhelmed with the decor. The house has oodles of charm. They could’ve done a lot better with the furnishings, IMO. And see? No window treatments. I do rather like that as it’s a cleaner non-fussy look. 7 Harbor Drive is a classic beach house stunner. uh oh. Apparently, they did not heed the Ptown ordinance for no window treatments, but they should have. Or, at least they should’ve done away with the valance. Definitely! And I would’ve put up a white linen drapery. A handsome dining room, for sure, but definitely not what I am expecting to see for a home just a few hundred feet from a New England beach. with some quite nicely-done classic-traditional but definitely not what I think of when I think of beach house decor. Charming antique home, however. 584 Commercial St. is a classic Victorian of Historic Significance. But, maybe a little too transported? Do you think that buyers will be able to see past it? But, maybe ONE will love the saturated hues. I far prefer Gerald Bland’s lovely home built a few years before this one. Well, Laurel. Fine. We get the point. You can have a coastal home and it doesn’t have to be shades of blue, white and beige. But, aren’t there any classic beach homes in Provincetown? Yes, I did find one. And for whatever it’s worth, I DO think that the interior of ANY home should tie into the home’s exterior in some way or other. Architecturally, it’s everything I could ever want in a beach home. Most of the decor is fine. There are a few things I would tweak. I am showing this image because one) please take off the arm covers for the photo. And two, what I really want to see is a slipcover for the entire thing in white cotton duck. That would be sensational! Well, this is a lot of images. What do you think of the non-beachy colors for beach homes? Would you be able to see past them if you see a house you are interested in purchasing? Thanks again for all of the great comments for Cyndi’s beach community home. She wrote me and said that many of the suggestions are helpful and appreciates the help. PS: Don’t forget to check out this weekend’s hot sales! A Bad Fiber For A Stair Runner+ A Difficult Staircase? Really loved your useful, practical reno tips here! I hope to do a low-budget makeover at some point so I love seeing what you’ve achieved without ripping out everything. It’s just beautiful—tasteful, not cookie cutter, yet in keeping with today’s trends. Try this experiment. Look up multi-million dollar real estate in Boston and Atlanta. You won’t believe the difference. The Atlanta interiors almost all look like they belong on the cover of a magazine with no editing. They have employed some incredible designers. Then start looking at more reasonable price points and compare those. The answer to the question, “Should a New England beach home look coastal?” might depend on whether one’s emphasis is on “New England,” or “beach.” This is a lovely historic town on the ocean- so there are two very strong design aesthetics at play here, either of which are appropriate in my opinion. Think of the designers at Disney World, who are masters of theming. You can stay at the Yacht Club with its quiet Victorian formailty, or the adjoining Beach Club which is all white woodwork, sunny colors and kids having a great time. But they are both both “beachy” and in fact, share the same pool. Victorians & cute miner’s shacks do exist- but no one wants that a couple miles away up the hill toward the ski resort. You look great Laurel. Must be from spending time with your son and a musician too. My husband was impressed your son attend a conservatory. He is like that about musicians and wishes he was one. Maybe if he had worked at it in those early years! Thank goodness you clarified the beach/coastal interiors. I don’t remember seeing any sea shells in any photos. I guess the real estate agents threw those out the door before the photos were taken! And yes, I tell my husband about your blog. He loves your humor as do I.
I think the differences of opinion in direction of decor are regionally and historically based (and I’m talking pre-Civil War). In the North, beach towns/communities were historically primarily fishing/shipping, year-round residences. In the south, historically, beach towns did not exist. Yes, you had your few ports (Charleston, SC, for example) that were cities with large economies comparable to Provincetown, but the islands that the south now knows as beach towns were really just developed in the past 75 years. Before that, they were communities of farmers and descendents of slaves (see “The Water Is Wide” by Pat Conroy about Dafuskie Island in the 60s). And even before that, they consisted of large tracts in the form of farms/plantations of wealthy landowners. The development of Southern islands such as Hilton Head, Amelia Island, heck, even Myrtle Beach (ok, it’s not an island) is a very recent phenomenon and is tourism/resort/vacation-instigated, with the vast majority of residences being initially built as second homes. These areas have seen, in the past 20-30 years, a huge uptick in people moving in from other regions as retirees, often making them their primary home. There’s also a different aesthetic in decor, for the most part between north and south. Not to make sweeping generalizations because I don’t like doing that. But, over-all, people in the south are more concerned with the decor of their home. It extends to clothing, hair and make-up. I don’t see Cyndi’s home as being particularly formal. I find that the lighting is giving the home a “brochure feel” that if the lights were off, the home would appear more approachable and like I know that it is, in real life. I have noticed myself that people in the South seem to care more. You know who else remarked on this? The Property Brothers on HGTV mentioned it after they did a show in Atlanta. Atlanta was a revelation for them because they weren’t used to seeing so many nice houses in one city. I have also noticed that even Southerners who are strictly middle class still put more effort in decor. My sister moved to a town in Illinois a few years ago, and when I looked at the real estate listings in the area, the difference was amazing. There was almost no attention paid to decor. You’d have to look at tons and tons of houses before coming across one that was well decorated. This is completely true, but when people are actually shopping for a home, they turn super picky and unrealistic. unfortunately. And then the expectations are raised even higher when you get to more expensive homes. Hi Laurel! Thank you so much for linking to my “Something’s Gotta Give” blog post! So kind of you! The next time you’re this way, please let me know. You were about a mile from my house on your way from Boston to Cape Cod! Oh my. That’s right. I forgot that you live in the Boston area. My son is currently in Roslyndale, but moving at the end of the month to western Mass. Thanks for sharing your trip and your son with us, Laurel! Love that part of the country and your son is adorable! Those were some “interesting” homes for sale where the inside definitely didn’t match the outside. Yikes! I think decorating your home on the coast has a little something to do with whether it’s your primary residence or a second home. If it’s your primary, you might get “beached out” if you went totally coastal (is that like postal?) in your decor and your home would likely look like many of your neighbors. How boring. You can be just as creative at the beach as anywhere else! 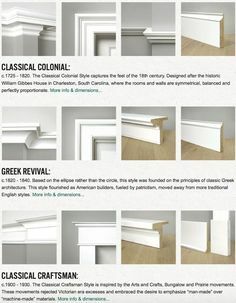 British Colonial, spa-like contemporary, traditional lite, etc. as long as it blends with the exterior as you say. Oh, what an absolute delight it was to read your post this morning! My family and I vacationed for a week in PTown last summer and it was one of our most wonderful vacations ever. The people, the beautiful homes, the food—what a joy! I devoured every one of your photos and reminisced about the beautiful gardens. We rented a home with a hammock in the front where every morning I read my book and watched a little bunny hop through the garden. We also saw the lovely Gina at her show, and my son sang (terribly) with her. Oh Laurel!I so love this post-Provincetown (where I’ve been once), and East Village (where I’ve been not once), and your wonderful son, and you! (most people are. Depends on their circumstances. In other countries the vast majority of people are very very able to see past the colors, and furnishings. They look at what’s important, and either cannot be changed, or cannot be changed without investing a lot, a lot of money. I even love that scarlet wall color.Hm. Maybe I even won’t change it lol. But. Steep stairs-that’d be hard. Hard to use-for me-hard to change too. Circumstances. I am not a big fan of the beach/coastal theme, even in a beach community, and don’t believe that your friend’s home in Georgia needed to be staged as one. It was gorgeous as-is. I didn’t comment on that post because I saw several people express my thoughts of just clearing the floors of a few rugs here and there and showing off more of the architecture. In general, homes don’t sell because they’re not priced right, But sometimes it is because buyers need to be shown better views to get them in the door. Dear Laurel,This post is close to my heart. I live on Shelter Island NY. near the Hamptons. Most higher end homes do not have a specifically beachy feel, more classic with nods to the beach as it is a historic community. Many homes in beach locations tend to get a bit kitschy with the never ending coastal references.Our vacation home of 22 amazing years is for sale, 9 N.Menantic Road, Shelter Island NY. Would love you to take a look. It has been lovingly furnished with finds from all over the place..including dumpsters. 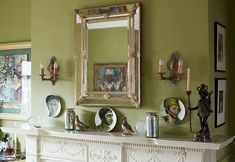 I am a vintage vendor with One Kings Lane, not a decorator and love an eclectic collected mix in a home whether in the suburbs or at the beach. Subtle references to location are enough IMO. I adore your blog, (feel like I know you and love you) and read it with my coffee every Sunday morning, before anyone wakes up, heaven. It seems that anyone in their 40’s or younger simply cannot bear to see anything other than totally stark, minimal Mid-century interiors out here. Pamela, your house is absolutely beautiful. I live in the mountains in the south, and there is a similar view in the more tasteful houses not to let the “mountain theme” take over. As you said, subtle nods to location are enough. I don’t know…from what I keep hearing, most people can’t see past the decor of a home for sale. I would enjoy more coastal posts. Cape Cod is coastal but not the same as Southern coastal like you would find in the communities below. I believe readers would do a double take!! very popular with families form Georgia, Tennessee, Texas, Arkansas and Alabama. it reflects Southern coastal charm. Oh my God, the Destin, Florida upscale communities Barbara mentioned are amazing. Laurel, you can look at the houses in the communities Barbara listed on vacation rental sites as well as Realtor sites. Thank you for sharing a part of your lovely seaside stay! As a resident of a beachy tourist town (If on the Third Coast – Lake Michigan), I will say that there is rather a lot of “beach themed” expectation when people are shopping for a house here. This mostly, however, applies to the non-natives. Once you’ve been hear about 10 years, the buoy-lights-framing-the-door thing and glass floats with a net draped over the porch get to be a bit much. When you drive downtown, you find most of that confined to the seasonal rentals. I don’t know whether they suffer this in Ptown, but HERE, when the snow starts to fall and that bitter, bitter wind starts to shift in from over the Lake all that blue and white starts to feel… cold. Even the grey and white trend can have an icy feel when the mercury dips below zero. The sun is shining again here in NYC this morning, not sure for how long. We’ve had some really rainy days here and the garden loves it but I’m ready to dry out for a bit! I really enjoyed reading about Cyndi’s home and seeing all the photos. You got a lot of really great, thoughtful comments. I was surprised by how many people suggested ditching the orange accents (I loved them) and how many felt a coastal beach house needed the interior decorating to also be beachy. 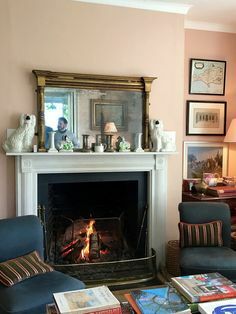 I haven’t spent a lot of time in Provincetown but I have visited Martha’s Vineyard at least a dozen times and the interiors of the homes and inns I’ve been to are filled with antiques and nary a sign that indicates beach. Speaking of signs, I always wonder about homes that are decorated with painted wooden boards that say “Beach” or “Life is a Beach” or other witty beach sayings. For me, if I’m at the beach, I know I’m at the beach, I don’t need to be told. Back to Cyndi’s home, it’s lovely but, in my opinion, maybe the price is a little high considering the changes I would have to make if I was thinking of buying it. 3) I would want the the outdoor sitting area covered and screened. Maybe a lanai with pool, hot tub, etc. Thanks again for making me think and dream! That was why I mentioned the weather but in rereading what I wrote I see that it sounds like I’m updating you when all you have to do is look out the window! I live in Bronxville, not the Bronx. As the crow flies, I’m about 3 miles from the Bronx. The only burb below me is Mount Vernon. I agree with that Cheryl. One thing that people forget, especially with beach homes, is that the rooms still need to have some black in them. 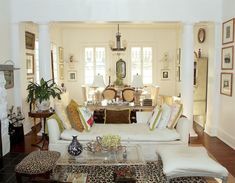 That’s what makes the Diane Keaton living room so fabulous; the black wicker chairs, lamps, etc. It balances out all of the pale while still giving the feeling that the entire room is pale. I’m glad you had such a nice trip with Cale, and how nice that you have that kind of relationship. He is adorable. You are lucky. While I don’t have any beach colors at all in my current home in northern Illinois, if I had such a home, I would definitely want the home to reflect the area in some way. Those were some gorgeous views and photos. I’m like you–I need to take more. That home in Georgia is gorgeous. I didn’t comment on it because I had no knowledge of the real estate in the area. My husband and I sold real estate as a second job just after September 11 happened, because he is in the airline industry and we were a little scared at the time. I am glad we did it, and I certainly learned a lot, but it really wasn’t for me. You have to love doing it, which I didn’t. But I was interested in the comments of the people who did know what they were talking about. Well, I’m selfishly glad you are back so I can look forward to more decorating wisdom from you! As someone who lives near the coast, I like a little beachy feel. One thing we didn’t talk about with Ptown is what an amazing writing community there is out there in the Winter, http://web.fawc.org/ Ann Pachet, one of my favorite authors is a graduate. Oh haha! Don’t recall any questions. I think that your lovely family home by the beach is perfect! And, I was thinking too, that cold-winter beach homes are not the same as year-round hot-to-mild beach homes. I love the idea of heavier upholstered fabrics for winter and white cotton slipcovers for summer. Of course, one doesn’t have to live by the ocean to do that. Well many of us from the northeast think of beach houses in the historical context. The beautiful homes you have posted remind me of the sea captains’ houses. The wealthy captains decorated their homes in an eclectic and stylish fashion, with nothing beachy to be found. Just beautiful and elegant furnishings from around the world in which was befitting their status as wealthy seamen. I can do coastal colours away from the coast too.